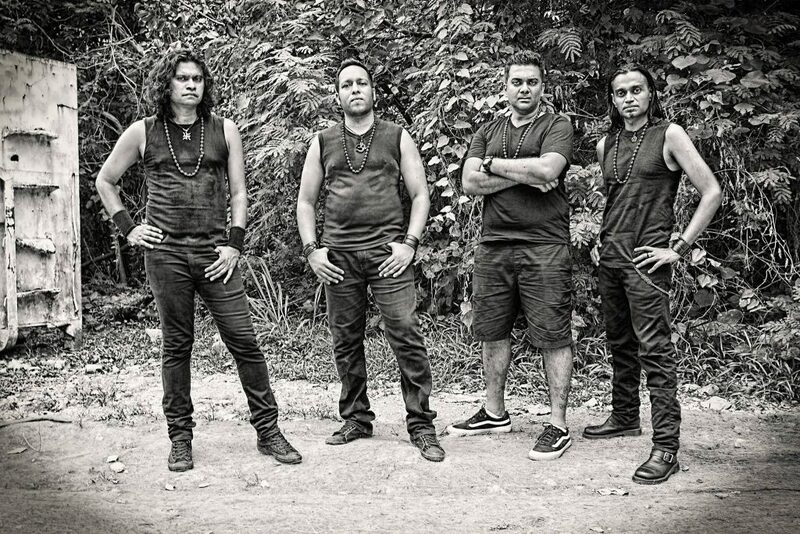 Veteran Singapore metal act Rudra start are pioneers of Vedic Metal. I discovered the band when I was just getting into extreme metal. The first album I heard by Rudra was their 3rd album, Kurukshetra. The album has been described by the band as their “heaviest and most ruthless in both music and lyrical content”. Last month, Rudra released The Blackisle Sessions which features tracks from Kurukshetra. 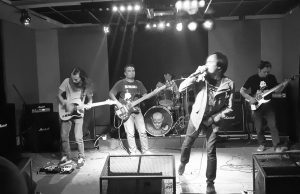 Find out more about the Blackisle Sessions, Kurukshetra and also their upcoming releases in this interview with frontman Kathir. You have recently released the Blackisle Sessions. How did they come about? Kathir: The Blackisle Sessions features tracks from the vault. During the time that we recorded the Brahmavidya Trilogy, we spent a great deal of time hanging out at the Blackisle Studios. The studio was owned by Joshua Nair and Sean Loo who engineered and co-produced the trilogy. Between 2004 and 2010 we experimented as well as recorded many tracks that never got released. The current release presents the tracks from that era. The sessions include tracks from your 3rd album Kurukshetra. What is the reason behind re-recording tracks from the album? us, we thought that the re-recorded album failed to capture the tenor of the original. More than that, Kannan (ex-guitarist) left the band shortly after the recording which also made it difficult to release the album. It’s been 15 years since the release of Kurukshetra. What are your thoughts looking back at the album? Kathir: I personally love Kurukshetra for its intensity; lyrically and musically. So much that we got it remastered and released it as a digital release in 2015. Listen to the remaster as it has done more justice to the production. I love every track on that album and probably the last Rudra album that did not have a theme or concept. After Kurukshetra, we started to write every album with a strong theme or concept. Your music combines death metal and black metal and has lyrical concepts based on the Hindu scriptures. How did you come up with your unique sound? Kathir: I am a big fan of Indian philosophy especially that I am a practitioner, researcher and teacher of Advaita Vedanta. So bringing these ideas into Rudra was natural to me much like being myself. You can see a more pronounced Advaita influence on albums after Kurukshetra. The other thing is our exposure to Indian music from classical, folk and soundtrack genres. We grew up on Tamil, Sanskrit and Hindi music as kids. We also listened to devotional songs with classical music. All of these are perhaps sub-consciously influencing what we write for Rudra. That is the uniqueness of our sound. 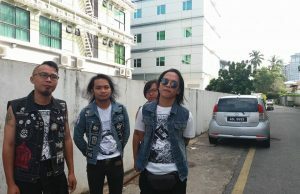 What are your thoughts on the current state of metal in Singapore and the rest ofAsia? Kathir: I personally think that things are stable in this region with only perhaps one band, Wormrot, that has become big on a global scale. 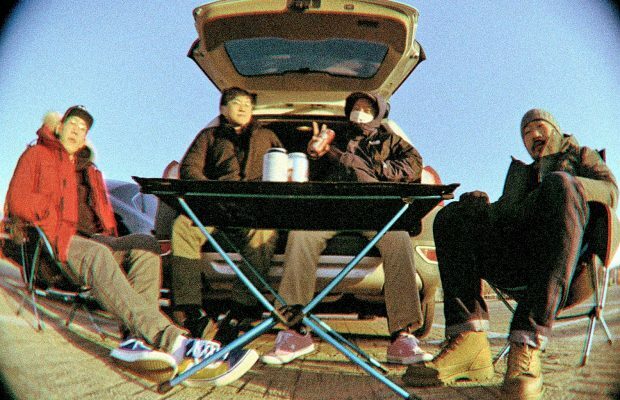 Apart from these guys, things could be better for Asian bands if we could have created an Asian collective, in my opinion. That way we could create a hub for Asian bands to interact and thrive. When you’re not listening to, writing or playing metal, what are you currently listening to? Kathir: Other than Rock/Metal, I listen to Anita Sarawak, Michael Jackson, TM Sounderarajan, MS Subbulakshmi, Krishna Das, Abida Parveen, Anggun, Patti Smith, Nusrat Fateh Ali Khan, early AR Rahman, Sanskrit chants and many others. At present Abida Parveen and Anggun have been on repeat. You have been around for over 25 years. What has kept you motivated through the different line up changes? Kathir: Shiva (drummer) and I love music. It has probably become a part of us such that it cannot be separated from us. Beyond line up changes and life changes, playing music has been a constant companion to us and I don’t think it is going to be any different. And we are not playing music to be financially successful, having to put out records to make money. When you put out music that you love, you do not measure its worth in dollars and cents. It is the meaning that we find in playing music that drives us. Kathir: Yes we have a couple of shows locally and in Malaysia for the rest of the year. It’s been close to 2 years since the release of Enemy of Duality. When can we expect a new release from you? Kathir: We are about to drop two more albums by the end of the year. 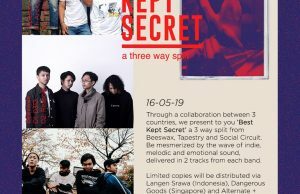 The first will be a compilation of songs from the pre-1996 era and the second will be a cover album featuring songs from bands that inspired us. ← Previous Story Organizing an Edge Day event somewhere in Asia? Let us know about it!